New Player plugin creates endless stream of musical melodies, rhythms and harmonies. STOCKHOLM, Sweden—December 4, 2018 - Propellerhead Software today released the Quad Note Generator Player Rack Extension for Reason. 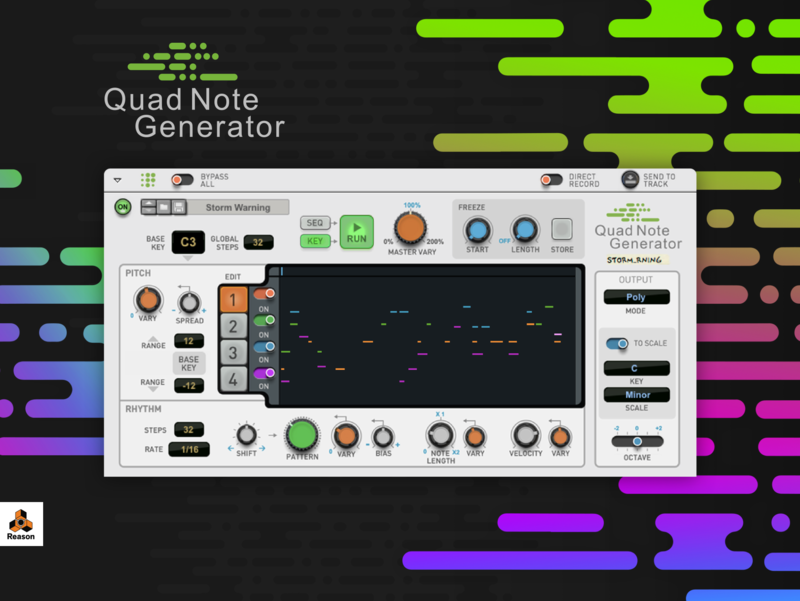 Create melodies, rhythms and harmonies you may not have thought of with Quad Note Generator. This new Player Device will help create bass lines, leads lines or other musical phrases to fit your music, based on scale and your preferences for rhythm and variation. Far beyond just random notes, Quad Note Generator will take your music and turn it upside down or turn the beat around. Slight variations or complete improv–it’s up to you. View the Quad Note Generator announcement video. Learn more on the Quad Note Generator product page.